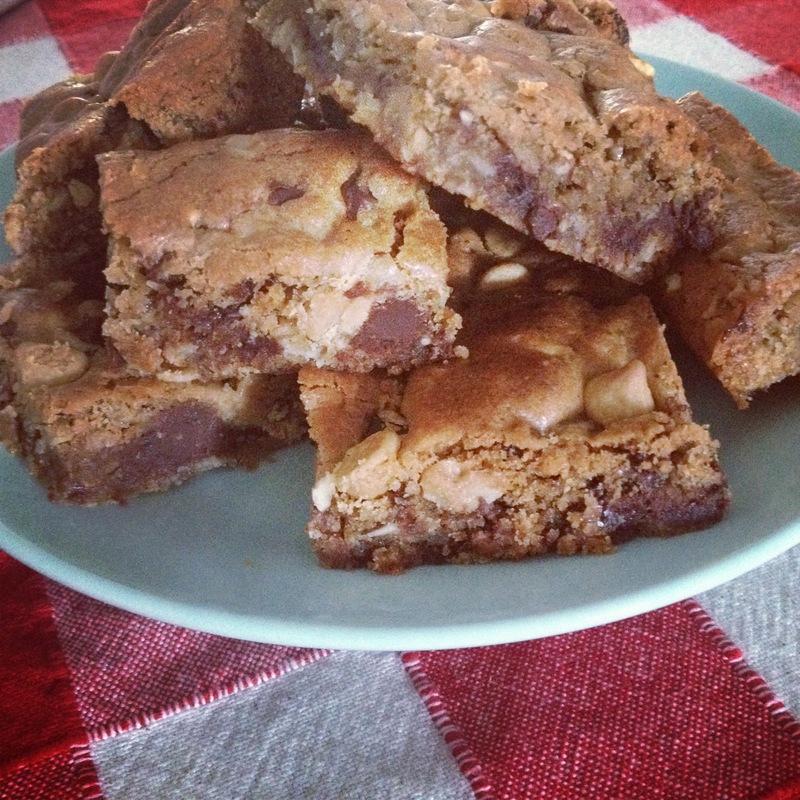 On one my pinning adventures I found this amazing cookie bar recipe from Pinterest that I had to pass on! I tried it right away and it was divine! Yes, past tense. That’s how quickly it goes! It’s a small recipe for a 9×9 or 8×8, it’s chewy, it’s sweet chocolatey, peanut buttery, and it’s irresistible! 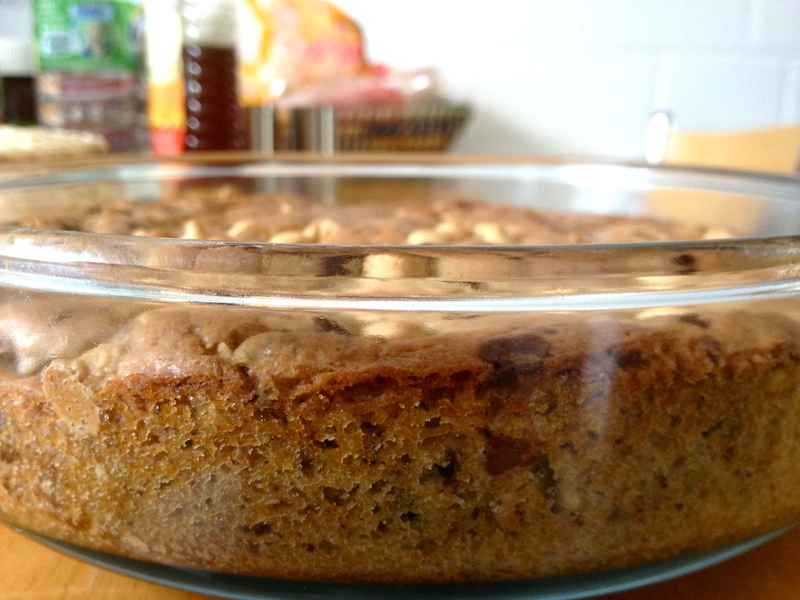 The recipe was for a basic chocolate chip, but I added peanut butter chips, oats and hazelnuts! I’m not gonna keep going on about how amazing it is because that would just be wasting your time. You need to make this asap! Place the butter in the microwave for 30 seconds, or till the butter melts. Let it cool and add the sugar, vanilla and egg. Mix well. Add the flour, salt, baking powder and baking soda and mix till everything’s incorporated. 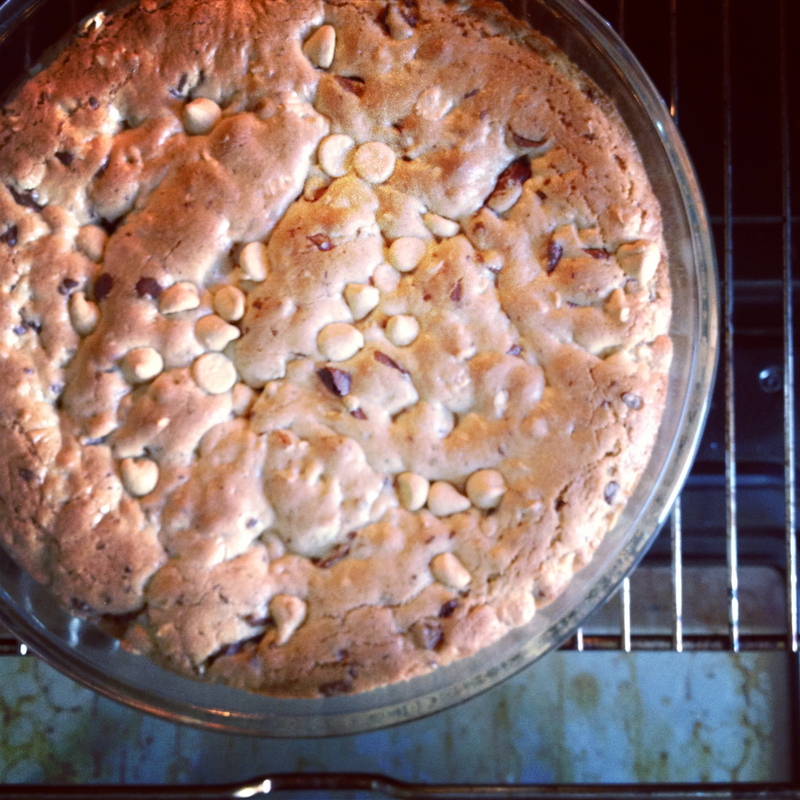 Mix in the choc chips, peanut butter chips, oats, and hazelnuts. Pour the cookie dough into a greased 9×9 or 8×8 dish. Flatten the cookie dough out so it bakes evenly. The cookie dough will rise a bit. Bake it for 20 minutes. The recipe said 25, but the cookie was turning dark brown on top, so I baked it for 20 minutes, then turned the oven off and left it in so it could continue to cook through with less heat (about 10 minutes). The center will still be a little soft. Let it cool completely before cutting it into tiny squares of heaven.